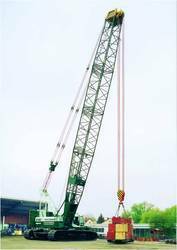 Pioneers in the industry, we offer crawler cranes, duty cycle crawler crane and telescopic crawler cranes from India. 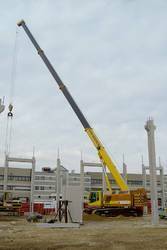 We deal in World Class Crawler Cranes from SENNEBOGEN Germany. Offered in various configurations meeting customer needs. 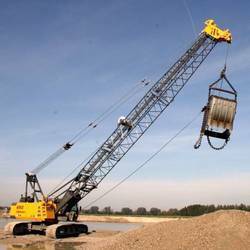 We are suppliers of Duty Cycle Crawler Crane from SENNEBOGEN Germany. Offered in various configurations for special applications like Dragline, Drop Ball, Free Fall, Oscillating casing, Diaphragm Wall etc. Crawler Mounted Telescopic Cranes for lifting applications in Soft soil or areas with low bearing capacity. Offered in various configurations.